While pub food has certainly become more extravagant than before (pulled pork served with everything, most likely on a wooden slab instead of a humble plate), the King & Co have turned the age old tradition of ‘pub grub’ on its head by offering a changing menu every two months. We love this idea – there will always be something new to try and a platform for up and coming chefs who might not otherwise get such an opportunity. The only downside, we guess, would be that if you find yourself fond of a particular dish you’d need to savour it while it lasts! 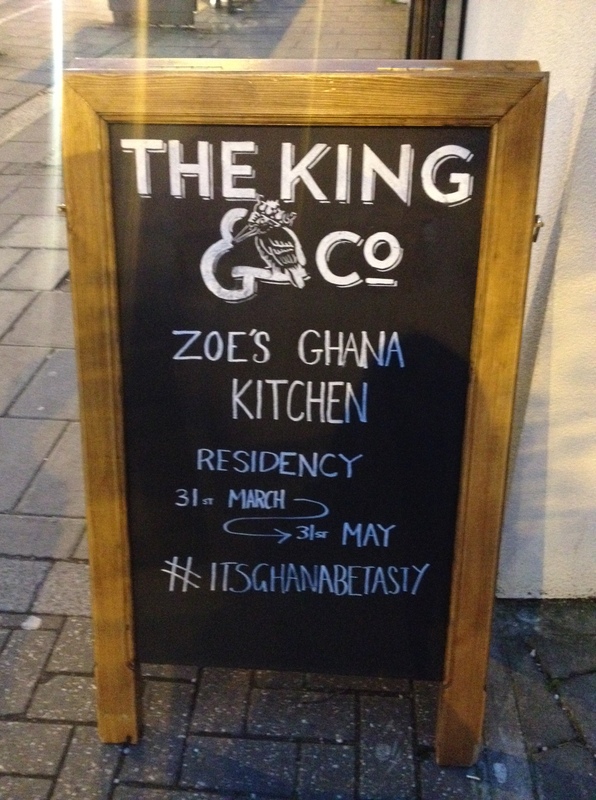 Zoe’s Ghana Kitchen is the latest to set up home, cooking up African dishes from now until 31st May. 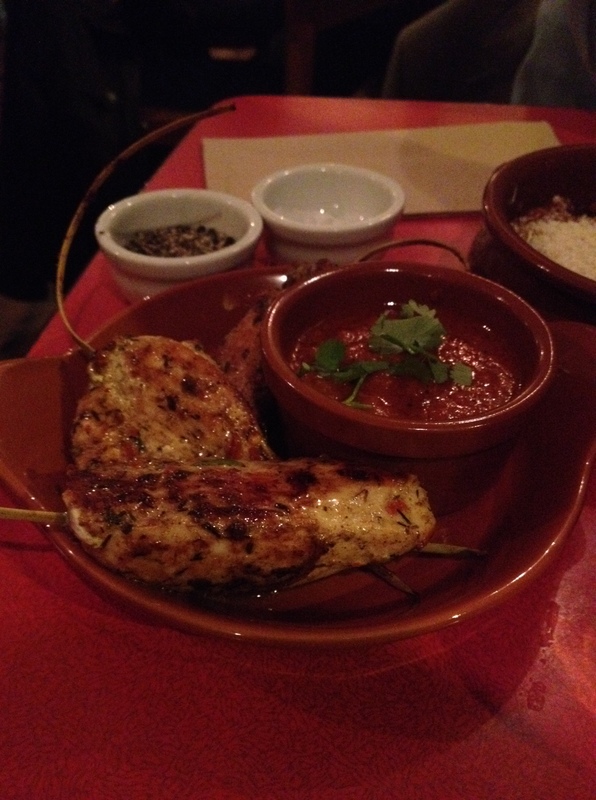 The menu is short but sweet, comprising small tapas sized portions where the recommendation is about 2-3 plates per person. 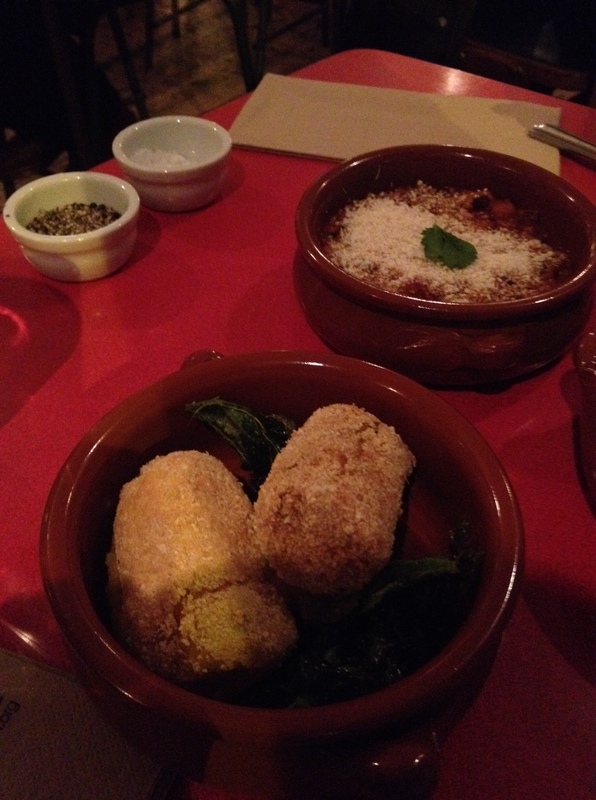 There’s enough for veggies to get involved but the signature dishes really lie with the meat lovers. 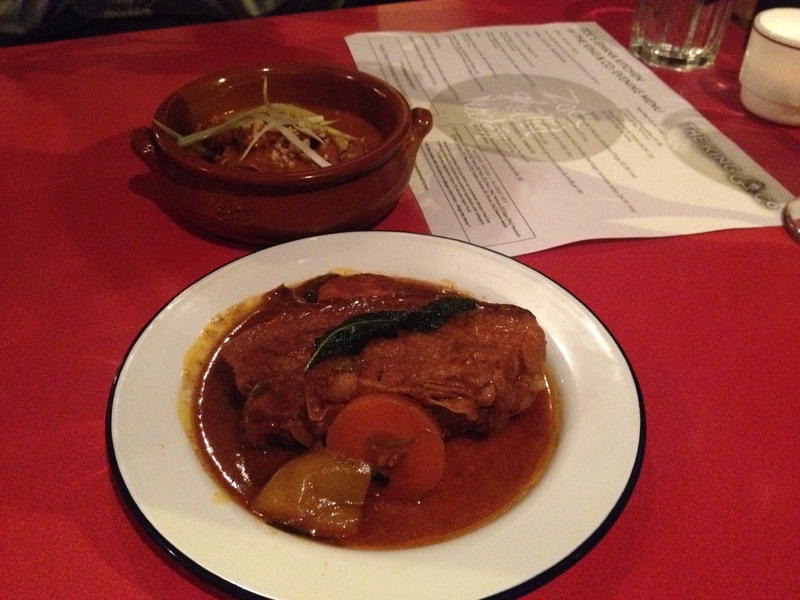 Our favourite was the mutton with satay sauce, and pork belly – generous cuts cooked for so long it just falls apart. 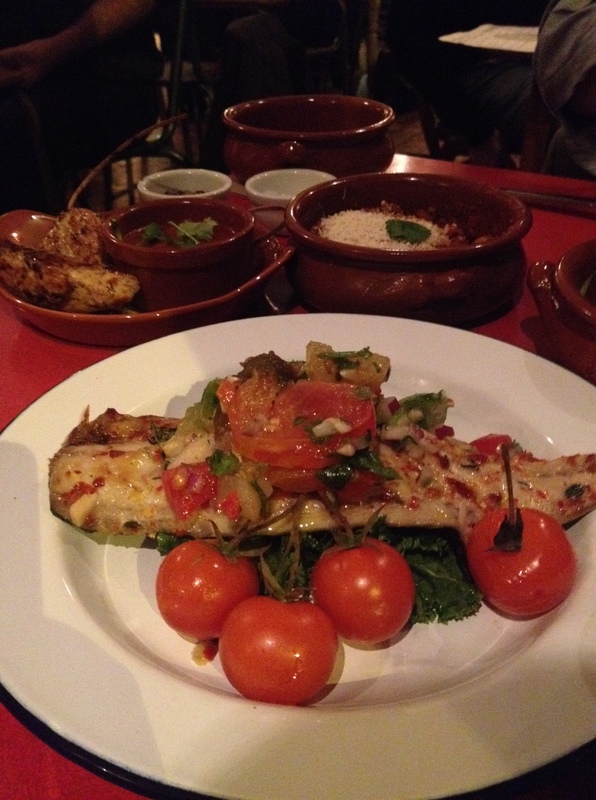 Other hits were the mackerel (look past the minor food admin of small bones and you’ve got tender spicy fish) and ‘red red’, delicious black beans in a rich tomato sauce topped with parmesan. The only disappointment was the lack of ‘Puff Puff Handmade Doughnuts’, because the kitchen weren’t able to make them properly the night we visited. If you’ve not been to the King & Co before, there’s no sectioned-off restaurant area. 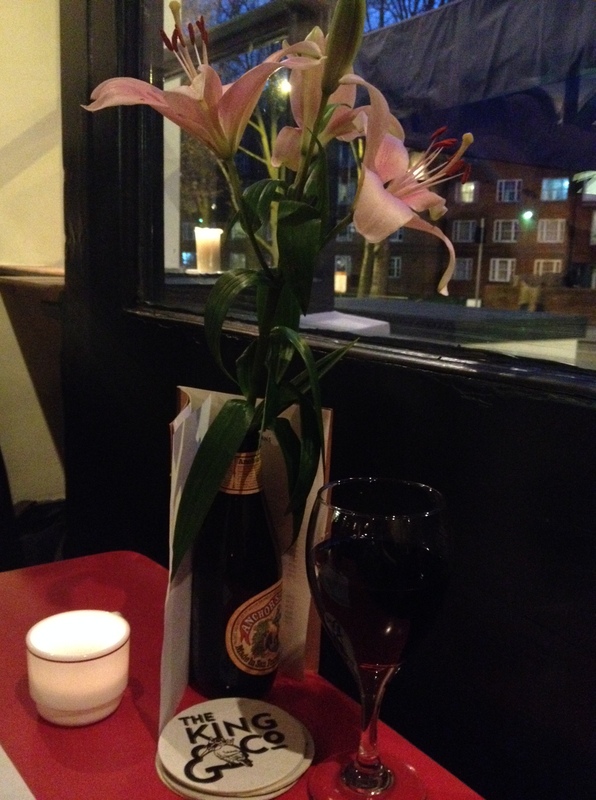 Eating takes place in the heart of the pub and, with the tapas attitude of “you eat when it arrives at the table”, the whole vibe is very relaxed. 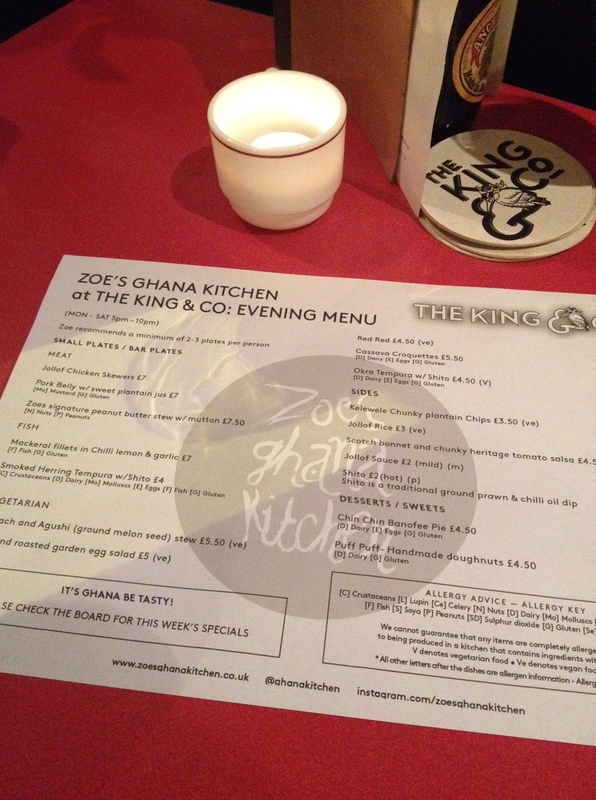 If south west London is a stretch, Zoe’s Ghana Kitchen frequents Peckham Springs on a Friday night too. Result.